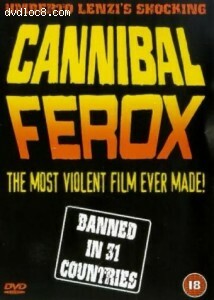 Synopsis: Shot on location in the savage Amazon wilds of South America, Cannibal Ferox is one of the most violent and shocking films ever made. There are at least two dozen scenes of barbaric torture and sadistic cruelty graphically shown. If the presentation of disgusting and repulsive subject upsets you, please do not view this film. They must now pay for their crimes with blood and pain. For what they have done, Make Them Die Slowly.